These potatoes go great with anything from a roast to eggs and toast. Skin the potatoes, wash and pat dry the potatoes with a paper towel. In a bowl combine the lemon juice, olive oil and pepper. Toss the potatoes in this mixture and place in a baking dish. Bake for about 45 minutes or until fork tender and golden. 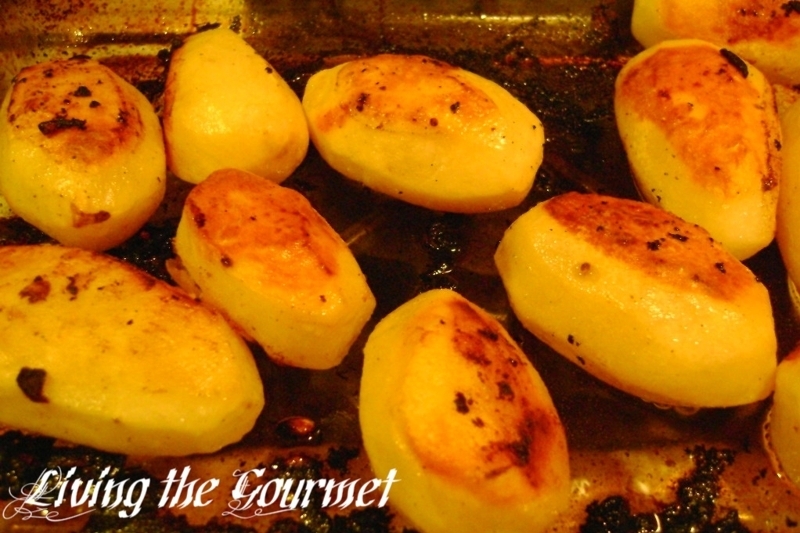 Halfway through the baking process gently turn over the potatoes so they may become golden on the other side. 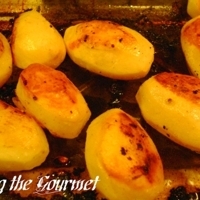 I love crisp golden baked potatoes, and these are so simple to make. Simple, tasty and easy to make. This sounds like a nice easy alternative to regular baked potatoes. I'm cooking these tonight to go with country style pork ribs. These sound wonderful. I'm curious if the lemon juice becomes prominent in the flavor. I'm going to try these. Super easy to make, and healthy. Thanks!! I am going to try this one. It seems easy to make. I will give it a try one of my weekend with the family. Thank you for sharing. Dad's Quick Clean Up Oven Roast!